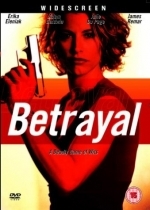 An extremely seductive and genuinely alluring French woman named Jayne Ferre (Julie DuPage) is a skilled assassin who works for the mob boss Frank Bianci (Louis Mandylor). When her last hit leaves behind a suitcase containing a million bucks, she decides to quit the business and makes off with the cash. Jayne hitches a ride with a down-and-out single woman, Emily (Erika Eleniak), and her teenaged kid, Kerry (Jeremy Lelliott), who is on the run from a drug dealer. Pursued by both Detective Mark Winston (Adam Baldwin) and Jayne's ruthless mob boss, the unlikely companions are forced to overnight at a small motel after their car breaks down and needs repairs. Things take an unexpected turn when Kerry slinks into Jayne's room, steals the money and flees from the motel during the night. - A deadly game of wits.